At the threat of mixing metaphors right out of the gate, I’d like to start this article by referencing a fable we all know; that of the ant and the grasshopper. While the care-free grasshopper chirped away and enjoyed times of plenty, the industrious and hard-working ant busily labored to store food for winter. When readily available food became scarce as winter fell, the grasshopper starved but the clever ants remained well-fed from their stockpiles. I have had the pleasure of meeting and working alongside many dry cleaners throughout my career, and their work ethic and wisdom have consistently impressed me. Without fail, I’ve heard it told by them that the hard work they’ve put into their business is intended to help build-up winter stores for lean times, their retirement, or to pass-on to their children. 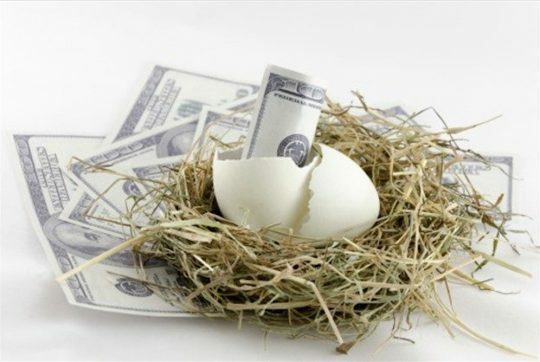 A lot of people refer to this as building a nest egg. Regardless of what you call it, the monetary value of the hard work, blood, sweat, and tears that you’ve invested in your business is held in the potential sales price of your business assets and potentially, your property. 2. As a generator of wastes containing these certain hazardous chemicals, businesses or individuals would forever carry any associated liabilities resulting from these chemicals. When a business entity buys a property, if a series of environmental inquiries aren’t performed properly, they could accidently be held responsible for contamination in accordance with CERCLA. If the inquiries are performed correctly, the buyer may qualify for an exemption from those CERCLA liabilities. The first inquiry that is needed is called a Phase I Environmental Site Assessment (ESA). The Phase I ESA needs to be performed by a qualified Environmental Professional (EP), like an environmental consultant. Your consultant will follow a specific set of due diligence standards to look at environmental records and databases to determine what the sale property has been used for in the past, and what has gone on at surrounding properties to see if those activities could potentially have impacted the sale property. They will also come do a site visit to walk around the property and buildings to see if any present operations may be potentially causing a problem. They’ll also need to do an interview to ask some standard questions about knowledge of environmental issues, etc. If they do find something during this process, they may have to put in their report that a Recognized Environmental Condition (REC) has been identified. If a REC is identified during the Phase I ESA process, then there needs to be samples of soil, groundwater and/or vapor collected from the sale property to determine if an actual environmental release has occurred.